There are a number of great opportunities for women to meet other women of all ages from the church family, to build new friendships and strengthen and encourage each other. The women's ministry team put on an outreach event once a term and also an in-house equipping event once a term. Do look out for details. There are also many women who meet to read the Bible 1:1. If you are interested in doing this please do have a word with Liz Turton, or email her here. 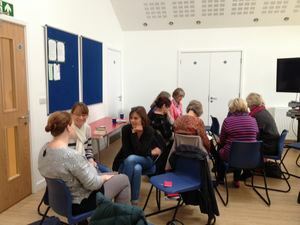 Connect is our weekly Bible Study for women of all ages held every term-time Tuesday morning from 10.00 to 11.30 am at LCBC with coffee, Bible study and prayer. A crèche is provided for those with young children. Several times each year we meet on a Saturday morning at LCBC for breakfast together, before listening to a guest speaker talk about an aspect of the Christian faith or their own personal experience of Christianity. All are welcome to join. We also have occasional Curry Nights. See Future Events for details of the next Women's Breakfast or Curry Night. As part of our mission as a church we want to equip women to love Christ wholeheartedly and to live out the gospel in all of life. In order to do this we put on an event each term where we study his word, share how God is working in our lives, pray and encourage one another. A number of women in the church meet once each half-term to discuss a book in an informal setting over refreshments. A variety of different Christian books are read including biographies, fiction, Christian living. This is not just a book club to discuss a book on an intellectual level but a place where women come together to challenge, encourage and pray for one another about how they can put the lessons they've learnt into practice in their lives. 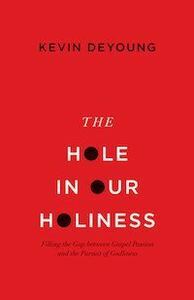 Books read previously include The hole in our holiness by Kevin De Young, Forgiveness by Julia Marsden, Dangerously alive by Simon Guillebaud, Compared to her by Sophie de Witt and The freedom of self forgetfulness by Tim Keller.